Located on a gorgeous 1.02 Acre lakefront lot overlooking Stuart Lake, this brand new build under construction would be the perfect year-round retreat or ideal family home. 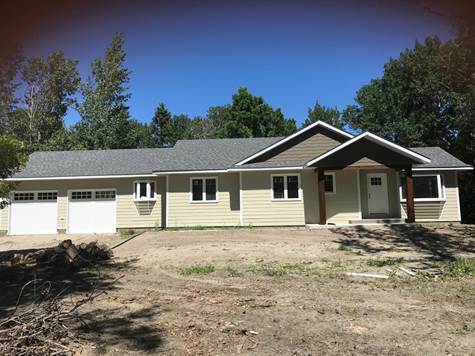 With just over 1700 sqft, this 3 bedroom, 2 bath home features an open style concept, with an eat-in kitchen, multi-slate finished fireplace, vaulted ceiling with exposed beams and a spacious sunroom/family room. The large windows provide an abundance of natural light while overlooking the quiet shores of Stuart Lake.